U nite will be holding its 2014 National conference and AGM in Auckland on Monday 1st December and Tuesday 2nd December at the St Columba Centre, 40 Vermont St, Ponsonby, Auckland. Delegates will be attending from all over the country to participate in training workshops, discussions about the future of unionism and Unite, and to elect Unite’s National Executive, the leading body of the union. The conference is a great opportunity for leading members from different sectors and regions to meet up, learn from each other’s experiences, and take the movement forward. Any member can attend as an observer but voting representatives need to be either elected as AGM reps or already elected as a rep from their worksite. I feel for the workers here, they’ve got it worse than us in New Zealand. It’s like they are in the last century, and its made us cry. But the women here are awesome, they are the new militants." 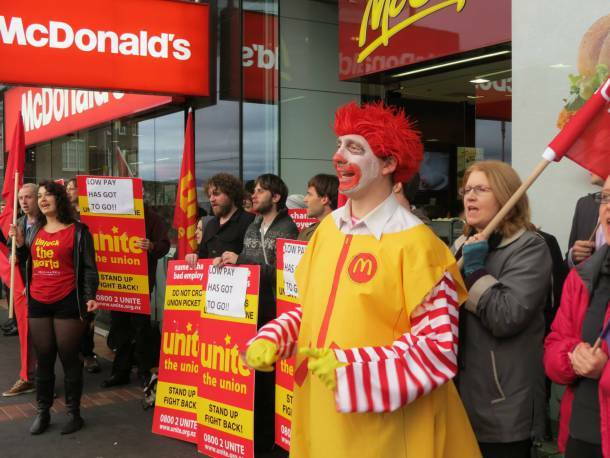 Angelyse, a Unite organiser and former KFC delegate, and McDonald’s delegate Tina Watson are in the US to share the experiences of fast food workers here with those in the US. 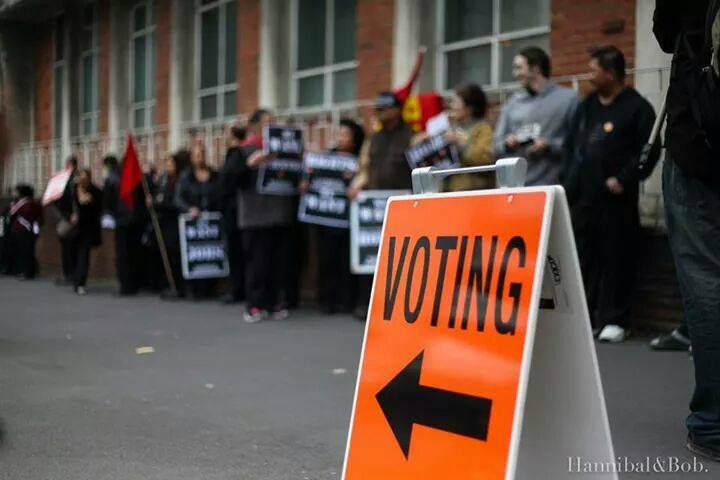 Workers in Central Auckland march to early vote when the polls open. Unite Union and the SFWU are encouraging our members to vote to change the government. The current National Government has tried to attack unions and workers entitlements, while most opposition parties have promised to increase the minimum wage by $2 an hour in their first year in government. Workers met outside Skycity and marched down to Liston House in Hobson Street to be the first workers to vote en masse. 6a Western Springs Road, Morningside. We want to bring down the Government! “We wanna bring down the Government- we wanna bring, bring down the Government!” was the chant on Hobson Street as 60 workers walked off the job from Skycity to go and vote for change. 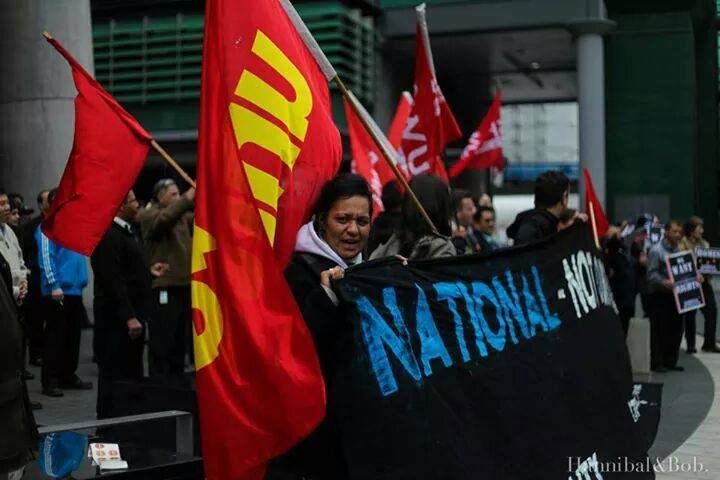 Union delegates Tina Barnett and Gina Williams were up the front with a massive banner- “National- Not Our Future”. Workers from both Unite and SFWU held placards that demanded a living wage, secure hours, affordable housing, more rights at work including the right to strike and an end to restructuring and subcontracting. Skycity Cleaners directly affected by a new round of artificial subcontracting were first to cast their votes against National. The experience of voting collectively together as workers was empowering. We were joined by Labour MPs Darien Fenton and Jacinda Adern, and the Mana Movement Tamaki Makaurau’s candidate Kereame Pene. Unite supports a vote for those parties who are commited to changing the government- Labour, the Greens and Internet Mana. Rally: 2pm Saturday 19 July at the Octagen. Rally: 2pm Saturday 19 July, Aotea Square, Queen St. Bring your own placards, banners & olive tree branches. 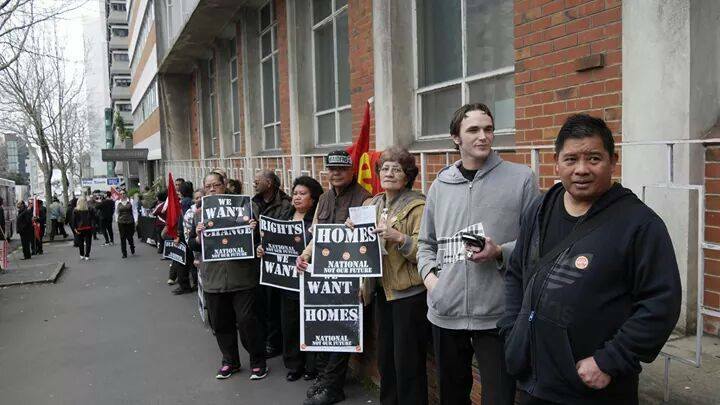 Rally will hear brief speeches then march via TVNZ & Herald to the US consulate. 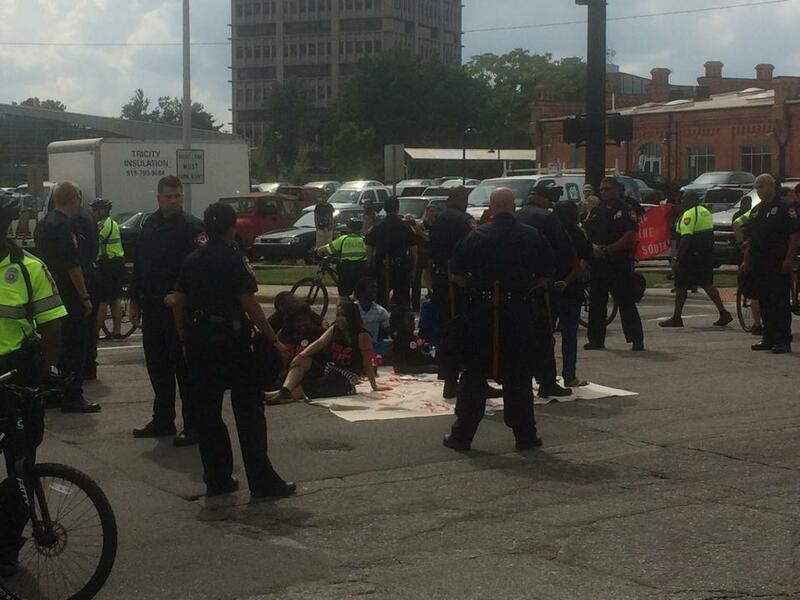 NOTE: Massive protests are taking place in cities around the whole world – a new ‘super power’ has emerged to stop Israel’s war on Gaza: global people’s power! The following resolution was adopted by Unite Union in 2009. 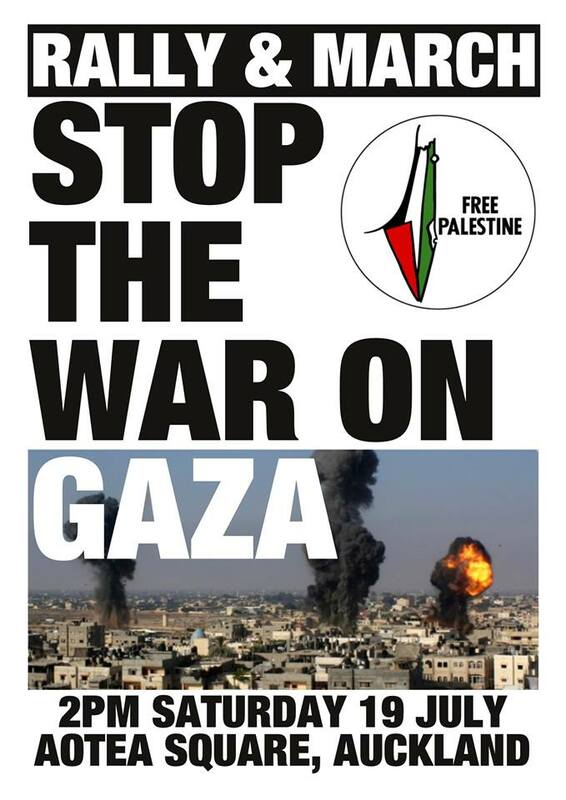 Over 170 Palestinian political parties, unions and other organisations including the Palestinian General Federation of Trade Unions issued a call in July 2005 for a global campaign of boycotts and divestment against Israel similar to those imposed against South African Apartheid. 1. Demand the Israeli Government immediately withdraw from the occupied territories and abide by UN resolution 242 which requires Israel to withdraw to 1967 borders. 2. Support the international campaign of boycott, divestment and sanctions on Israel until it meets its obligation to recognise the Palestinian people’s inalienable right to self- determination and fully complies with the precepts of international law including the right of Palestinian refugees to return to their homes and properties as stipulated in UN resolution 194.